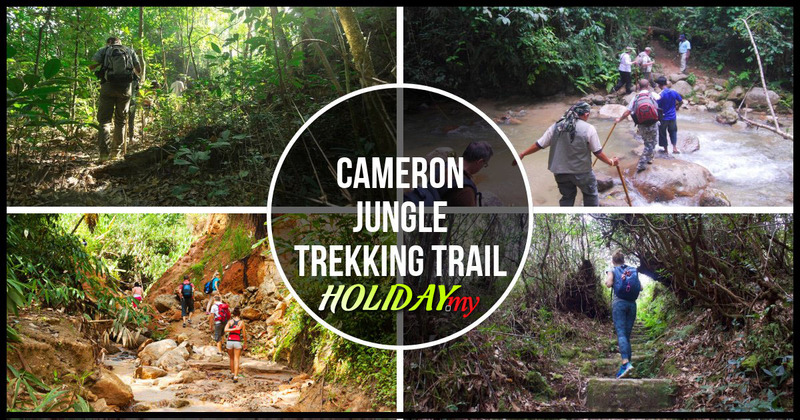 Hiking is a great way to explore the beautiful rolling hills and cool mountains in Cameron Highlands. You can spend the whole-day hiking and walking around the beautiful trails appreciating Mother Nature and captivating scenery. Just remember to bring along picnic lunch because you can stop anywhere as you hike along the trails and spend some quality time eating with your family and friends. Strolling through the countryside can be an exciting activity particularly for those who love outdoor activities. But do not hold high expectations because after all, Cameron Highlands is not the national park. It is best to start your journey early in the morning as cooler temperatures are great for hikers to walk along the well-scrubbed trails while enjoying the stunning lush greenery. If this is your first visit and first attempt to hike in Cameron Highlands, remember to register yourself at Tanah Rata or Brinchang police station because if you fail to turn up on time, the officers are well-prepared and will be there to look for you. Start your journey early in the morning because it gets dark in the forest by 5 pm. Therefore, by starting your journey early you have sufficient time to explore the stunning greenery. The jungle trekking trails uphill are narrow and steep. Be extra vigilant and wear proper attire. All you need is a good pair of hiking shoes. You do not have to bring ropes or other hiking equipments (after all, this is not the national park). Here are some of the more popular treks and the estimated time to complete the route. It takes about two hours to stroll from Mardi to Mount Beremban; also two hours from Sam Poh Tong Temple to Mount Beremban; one and a half hour from Oly Apartment to Mount Jasar; about two hours from Oly Apartment to Mount Perdah; between two and three hours from Bharat Tea Estate to Mount Jasar; and two hours from Sungai Palas Boh Teahouse to Mount Brinchang. The longest route is between Mount Brinchang to Mount Irau as it requires at least three hours completing the trail. Hikers would have to climb through steep slopes and go through dense forest for this challenging trail. Among the mountains that you can hike when visiting Cameron Highlands is Gunung Beremban. This is one of the few peaks here that do not require any extreme training and is a pleasing walk up as you reach the peak to enjoy the sights and sounds of nature at its best. Gunung Beremban is about 6,924 feet above sea level and you will be greeted by some of the lowest temperature areas of Cameron. Prior to hiking up Gunung Bereman, you should get prepared with some supplies that include light snacks, water and clothing. It is strongly advised that you hike up in group as you can easily lose your way in the forest. If you see Masjid Tanah Rata, that could be a starting point up Gunung Beremban. From there you can go towards Taman Sedia where you will reach Kem Sungai Pauh. This is a good place to park your vehicles and then you will see Jungle Walk No.6 which will lead you all the way to the peak. Along the way, you might come across several other signboards that could well be your guide towards your destination. The trek up and down Gunung Beremban could take an average of 4 to 5 hours although it can be longer if you make frequent stops. As such, you are advised to start early so that you reach the bottom before night fall. Once you are at the peak, you get a spectacular view of Tanah Rata and the surrounding regions. One thing for sure, hiking up Gunung Beremban gets harder as you approach the top. The first hour is quite easy as the slope is quite gradual but once you past this, you will notice that it gets considerably harder after the trigonometric station. From here, it is a lot harder although the trail is quite neat. The most popular trail downwards is to start from the east of Tanah Rata that leads towards Robinson Waterfalls, a great place to stop for a break. Make sure that you brought enough supplies for your climb and if possible, a small parang (machete) to clear certain pathways. Before you seek out to conquer Gunung Beremban, make sure that you have informed someone about your whereabouts and estimated time of return. Most of the hotels here provide guide services while you can engage one at the travel agents around Tanah Rata or Brinchang as well. Gunung Irau is one of the few mountains in Cameron Highlands. Known for its rich vegetation and beautiful and natural landscapes, you will find several mountains around here which will be perfect for those who would like to be up, close and personal with nature’s best. That which makes Gunung Irau such a great place to visit is that you can practically walk your way up. Trekking up Gunung Irau gives you an unforgettable experience where you will be among the oldest rainforests in the world. Being the highest peak in Cameron Highlands, you should consider making some preparations prior to trekking up. To do that, you need to get to the very popular Mossy Forest in which you need to start at the end of its boardwalk. The route to the peak of Gunung Irau is 2.3 kilometers long. As such, a seasoned climber will take about 3 to 4 hours while those who are beginners might take longer, often as long as 8 hours. That which makes the trail so fulfilling is the beautiful sceneries you see along the way and the rich flora and fauna that greets you at most places. If you like what you see at the Mossy Forest, you will surely enjoy the sights around Gunung Irau. If you are coming in from Brinchang, you can start walking from Gunung Irau while there are entry points via Tanah Rata as well like the trail from the Arcadia Bungalows. Unlike other mountains, the trek here is quite easy where you will need a lot of endurance and motivation. It is recommended to trek up Gunung Irau in a group as some parts are known to be quite foggy. Having a group will ensure that help is at hand when needed especially during the muddy areas and when descending. Gunung Jasar is one of the few mountains you can visit in Cameron Highlands. Promising rich flora and fauna and beautiful sights and sounds of nature, Gunung Jasar is the perfect place to go if you like nature and would like to get a close-up encounter with some of the most amazing rainforests around. Getting to the peak of Gunung Jasar is very easy as you only need to trek your way up. This is possible through the Jasar Trek which would be the most ideal option. Getting to the peak of Gunung Jasar can be very fulfilling especially when you reach the top. It takes a lot of motivation and endurance but is not too physically demanding. You will need to get here via the Carnation Apartment junction where there are a lot of parking spaces at the Oly Apartment. From there, you will need to go to Tan’s Camellia Garden before approaching the Jasar trail. From Gunung Jasar, you will experience some of the most breath-taking sights of Cameron Highlands including the Bharat Tea Plantation, one of the few major ones around here. Located 5,565 feet above sea level, the peak of Gunung Jasar might not be the highest but it offers a great experience anyhow as you trek up the 1.9 kilometers trail. Depending on how good you are, this can take between 2 to 5 hours. Along the way, you will come across some foggy and misty areas which means you should have your jacket with you. Besides that, you should bring along light snacks and some food in case you need to have a meal. Your challenge does not end there as descending the mountain could be quite demanding especially since you are already tired. Travelling in groups would be ideal so that you have someone to watch out for you in case of minor accidents. Gunung Brinchang or Mount Brinchang is a great place to visit for those coming to Cameron Highlands. After Gunung Irau, Mount Brinchang is the second highest peak in Cameron Highlands which takes the elevation higher, offering colder conditions for the visitor. Mount Brinchang is situated about 2,000 meters above the sea level where it is where visitors can enjoy a scenic view of Cameron Highlands from a higher point. There is a tarmac road which leads to the top of Mount Brinchang. However, for those who are planning to drive up to Mount Brinchang, extra caution should be taken as there are always road works and repairs being carried out from time to time. There is a watchtower in Mount Brinchang which provides a clear and beautiful view of the towns around Cameron Highlands. 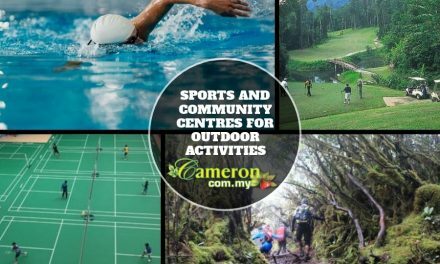 Located not far from here is the Cameron Highlands Mossy Forest which is growing in popularity for those who like to explore the forest and be close to nature. Hiking up Mount Brinchang will be the best option as it can be very fulfilling and rewarding. The jungle trail starts near Brinchang town where you need to take the left turn at the police station. You will pass a small settlement and you can enter the forest through the Jungle Walk No.1 entrance. After a while, you will start to ascend and it will be about 3 kilometers before you reach the peak. For those who prefer to drive, it can be quite challenging for the vehicle as the road is not as smooth as one would expect. To drive up Mount Brinchang, you need to take the left turn on the main road if you are coming from Kea Farm, Brinchang. Take the turn after Butterfly Garden and after about 2 kilometers; you will come to a junction known as Sungai Palas. Take the left turn and you will come towards a narrow road. You will then need to travel for about 8 to 10 kilometers where you will pass by some vegetable farms and you will then start to ascend. The drive upwards will go on for about 3 kilometers and you will then reach the peak.